Relationships are the most important part of our lives. They are the source of our greatest joys but also our deepest sorrows. Much of our pain in life comes from difficult or broken connections with other people. 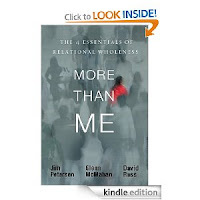 This book focuses on four principles that make all relationships succeed: integrity, love, humility, and forgiveness. These four factors are essential to the most intimate and the most public relationships, yet we can't achieve them on our own. The authors explain how we can be empowered by God to practice these four compelling keys to relational wholeness.